and no sign of any forthcoming babies to rock in ol' Georgebury, Vermont. For Callie Grey, turning thirty means coming to grips with the fact that her boss (and five-week fling) is way overdue in his marriage proposal. And way off track because Mark has suddenly announced his engagement to the company's new Miss Perfect. If that isn't bad enough, her mom decides to throw her a three-oh birthday bash in the family funeral home. 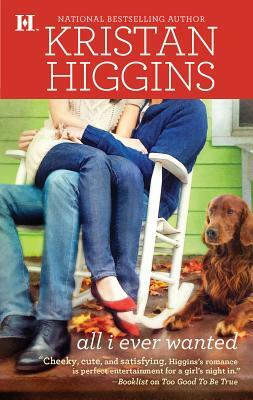 Kristan Higgins is the RITA award-winning author of CATCH OF THE DAY and three other romantic comedies. Previously a copywriter, Kristan began writing fiction when her children graced her life with simultaneous naps...so much more satisfying than folding laundry. She holds a BA in English from the College of the Holy Cross, which enables her to identify dangling participles and quote many great novels. Kristan lives with her family in Connecticut.